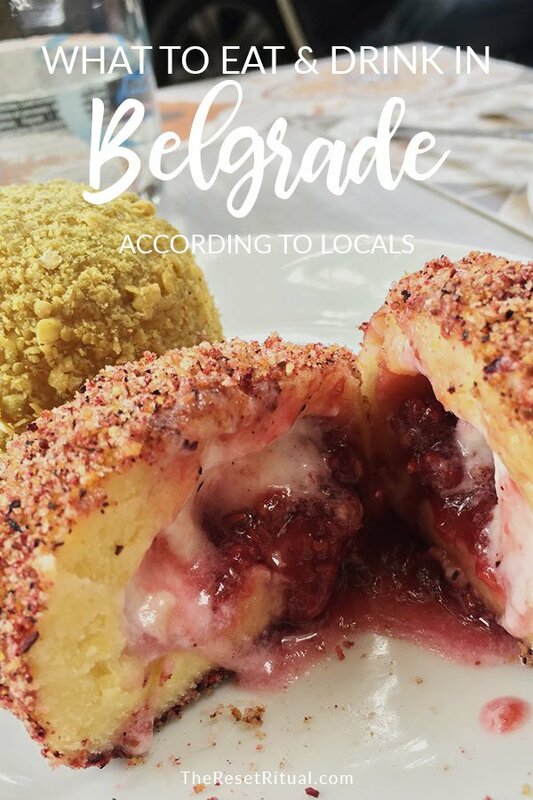 Wondering where to eat in Belgrade? My local friends recommended some fantastic spots during my recent visit, so I’m passing them on to you. These restaurants lean toward trendy favorites versus traditional Balkan cuisine, which relies heavily on meat (hello, chevapchichi). If that’s your thing, don’t worry, you’ll be able to find that too. However, if you’re a health-conscious, vegetarian-leaning eater like me, you’ll have plenty of options at these spots. Even though healthy eating is a priority in my everyday life, while I’m traveling, my main goal is to experience a place and culture. Sometimes that means finding a balance between eating what’s good for me and getting a taste of the local food scene. I’m happy to say, these recommendations fit the bill. Here are the best Belgrade restaurants (straight from locals). Great food in a charming setting? Yes, please! 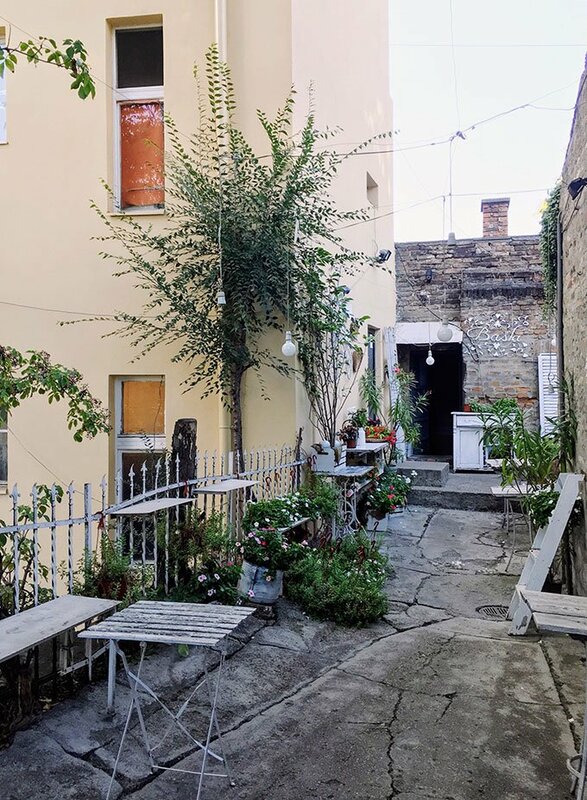 Enter through an unassuming building courtyard to discover this lovely garden hideaway and enjoy the fantastic Mediterranean food. This place feels like a world away from the busy streets, perfect for a quiet meal or hanging out with friends. The salads here are amazing. Order a few dishes to share if you can’t decide on one. This organic restaurant serves a mix of standards (burgers and steak), healthy versions of classic European and international dishes (chicken curry with zoodles) and plenty of vegan options as well. And the Scandinavian-chic decor is beautiful. Perfect for an intimate, healthy meal. Need a break from exploring? 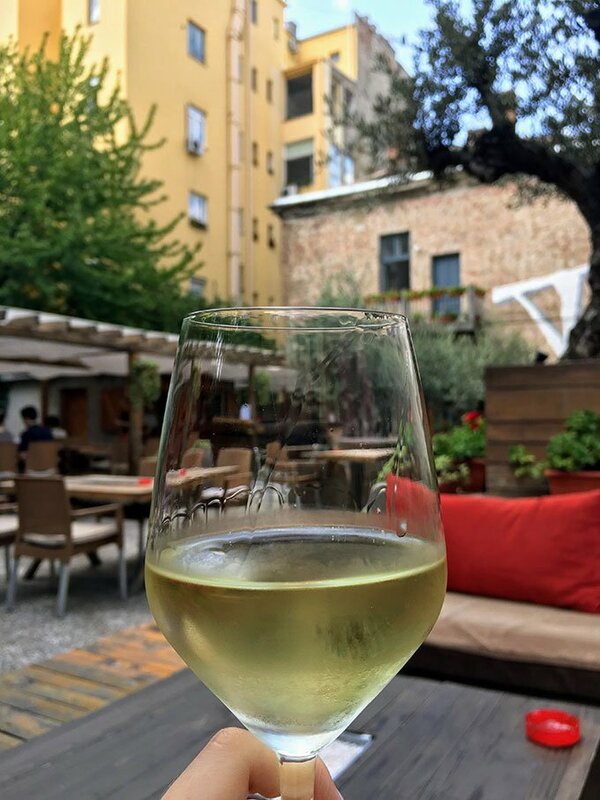 Step into this quiet garden and settle onto one of the lounges for Serbian wine and tapas. The food wasn’t the best I had in Belgrade, but the delicious wine and relaxing atmosphere make the perfect pit stop if you’re in the area. This restaurant is attached to a bed and breakfast, but that doesn’t mean it’s not popular with locals too. Great service, delicious food and fresh green juice made it one of my favorite spots. Stop by after a visit to the Tesla Museum, which is only a few blocks away. Ok so this place isn’t the healthiest on the list, but it’s definitely splurge-worthy in my opinion. 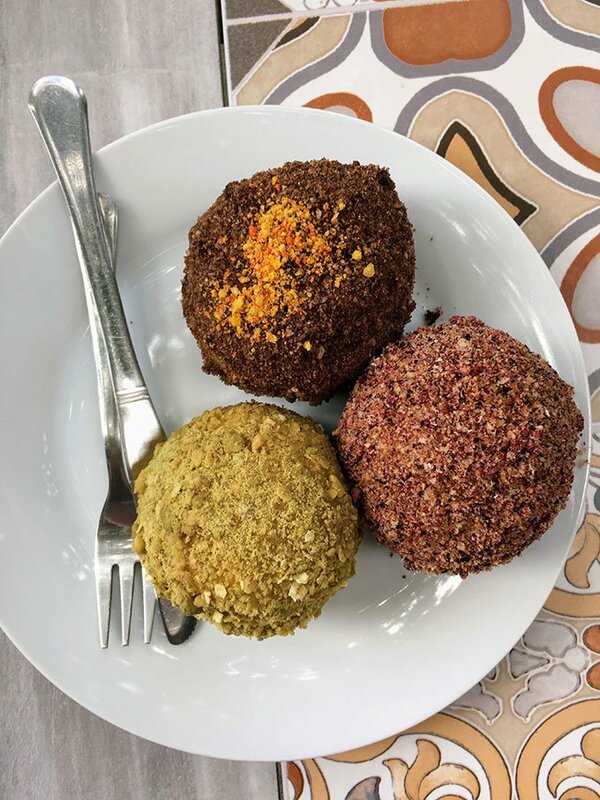 Austro-Hungarian roots are strong in Serbia, and the modern-twist on knedle is a taste (pun intended) of that history. Try the jaffa, raspberry and nutella ones! Books, cats, tea, oh my! 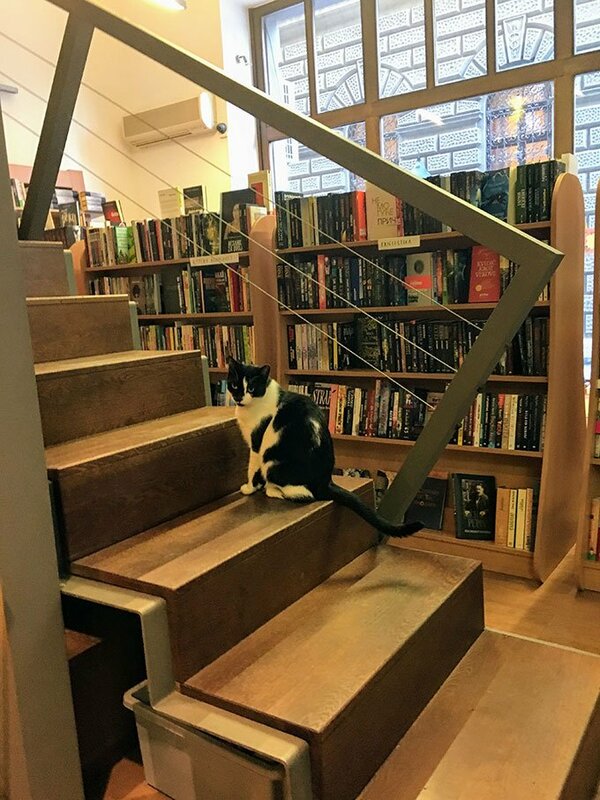 If you’re a lover of quiet bookstores with friendly felines, this is your place. The tea selection is also worthy of note. They have everything from matcha to cold brewed gunpowder. After tea, head down the street to my next recommendation. This is another totally-worth-it splurge. Mandarina serves individual-sized cakes that are works of art. Seriously, they’re so beautiful you won’t want to eat them. But definitely eat them. Trust me. 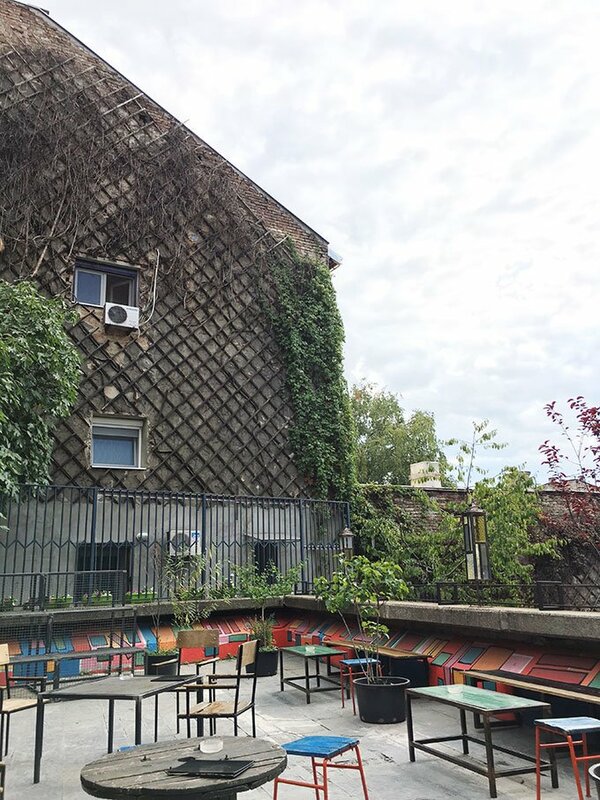 If you’re interested in Belgrade’s burgeoning craft beer scene, make sure to stop for a pint or two at Samo Pivo. 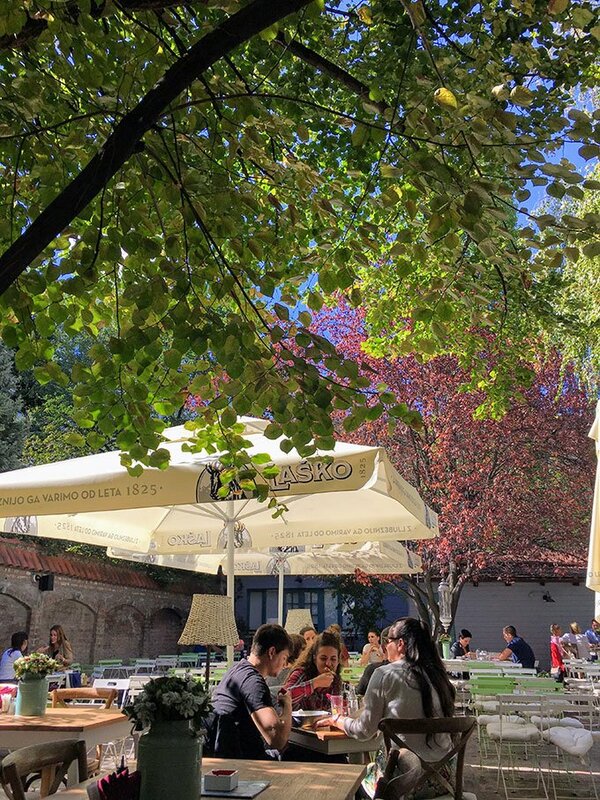 This huge beer garden is popular with locals and travelers alike. On a sunny day, grab a seat outside. Places I didn’t get to try but you should! Want to dive into some old school Balkan cuisine? Then you must try cevabdzinica (rolled meat sausages). This place is more of a fast food joint, but apparently, it’s the real deal when it comes to traditional cevabdzinica. I’m so sad to have missed Jazz Basta. The garden had me enchanted from the moment I saw it, but sadly, it was closed when I tried to go. Make sure to check their hours before you go. There’s an entire row of gorgeous, upmarket restaurants along the Siva river that I didn’t get to try but look great. These trendy, lofty restaurants serve up a variety of international cuisines and are completely open on the front side for full river views.